The Portuguese language is the official language of the country of Portugal, which is located southwest of the Iberian Peninsula in southwestern Europe, neighboring the country of Spain. Portuguese is an Iberian Romance language, which is a western group of languages that have their roots in the Latin dialects that were spoken by the people of what made up Latin Europe. These Latin dialects developed into singular languages after the fall of the Roman Empire. Speakers of Portuguese are spread far and wide on the globe. The Portuguese language ranks 6th in the world in number of speakers, or well over 200 million. Over 51% of the population of South America speaks Portuguese. In addition to being the official language of Portugal, the Portuguese language is the official tongue of Angola, Brazil, Cape Verde, East Timor, Guinea Bissau, Macao Special Administrative Region of China, Mozambique, and São Tomé and Prícipe. The language began to spread so broadly around the world beginning in the 15th and 16th centuries, when Portugal established itself as a major commercial empire. The Portuguese language began to develop from the Latin language when the region was occupied and colonized by Roman soldiers and merchants starting in 218 BC. The language that the Romans introduced to the region is known as Vulgar Latin, which was the more informal language spoken by the Roman common people. When the Barbarians (the Germanic peoples) began to take advantage of the crumbling Roman Empire by marching into the Iberian region between the 3rd and 6th centuries AD, the territory was taken over by the group. Because of the Iberian region’s isolation from other parts of Europe, it began to develop culturally and linguistically on its own (this occurred during the Early Middle Ages). Despite a Moorish invasion in the early 6th century, and the attempt by the Moors to force Arabic on them, the Portuguese continues to speak their own dialects, assuring the survival and continued development of the language. As a result, the Arabic language exercised very little influence on the Portuguese language, other than contributing some vocabulary. Governmental records dating from the 9th century show the first written evidence of the Portuguese language. In its history, the Portuguese language has seen an evolution from crude common language to its prevalent status today through a series of periods that marked changes in grammar and the lexicon, as well as its dissemination throughout the world. The Portuguese language has shown great influence on the lexicons of many other languages, including Japanese, Malay, Tetum, and Swahili, as well as many Creole tongues and languages spoken in the country of Indonesia. Portuguese colonial and commercial exploits no doubt had a great deal to do with this impact of the language on other cultures and vernaculars. 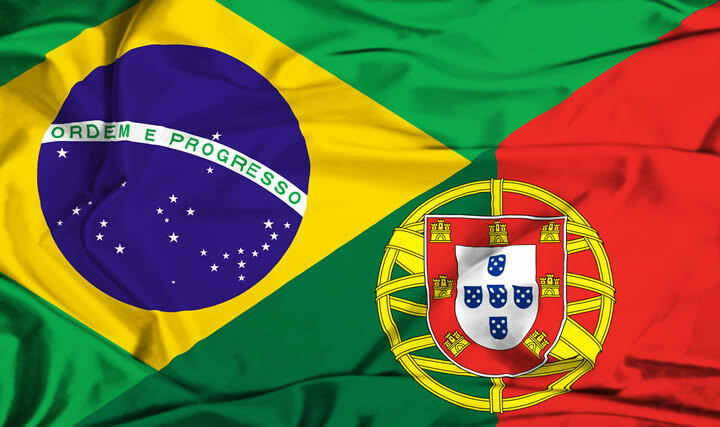 It is interesting to note that despite the Portuguese language’s basic connection to the Latin language, it is less related to it than any other Romance language (Italian, Spanish, or French, for example). Geography and history has a great deal to do with this occurrence. In fact, native Portuguese speakers often have a hard time learning the Latin language, as the grammar rules of each language vary greatly from one another. Learning the Portuguese language can be an interesting and challenging undertaking. Whether for educational purposes or for travel, knowing Portuguese can offer a glimpse into ancient historical and cultural roots, as well as a glance into cultures worldwide. The prevalence of the Portuguese language is a testament to its staying power. It survived geographical isolation and foreign invasions to become one of the most commonly spoken native languages in the world.